Social Media Success! - Practical advice and real world examples for social media engagement. Chapter 23: This Is Not the End. It's the Beginning. Social media can do amazing things. It can create an environment where your friends and followers and even your own customers become evangelists and act as a virtual sales, support and marketing teams. It can help you spread word of your business, your products and your successes through extended networks of people you've never even met. It can allow you to create lasting and deep relationships across continents, religious and political beliefs, in places you've always wanted to visit or never knew existed. It can open your eyes to the richness of human relationships and even find you a job. Social media success is not about numbers. It's about conversations and relationships. It's about getting to know you customers, your friends and neighbors and yes, even your competitors! Build good strong relationships, have lots of conversations, and your social media efforts will be successful. This book is a launch pad for successful social media engagement. It shows how to identify the right networks, find the influencers, the people you want to talk to and which tools will work the best for you. It gives you guidelines to building a successful strategy and explains how social media works to build your business, drive traffic to your website and enhance your customer service efficiency. Social Media Success! will be your guide to getting started in many of the top networks and building a cohesive plan to be as efficient as possible with your valuable time and resources. Learn from real life cases of businesses large and small who have successfully used social media networks and strategies to grow their businesses, improve customer service, raise funds and even find employment using these tools. Choosing the right venues for you. One of the most common mistakes you can make is joining a bunch of networks because people told you to. This happens a lot. Then you get caught up in the amount of work it takes to start up a blog, a Twitter account, a Facebook page, a YouTube channel and a bunch of networks and maintain them all at once and it's so overwhelming you run away screaming "social media is a waste of my time!" and are never seen again. Before you start selecting the right networks you need to use those listening tools I told you about and find out where the people you want to talk to are already having conversations. They may not be on Facebook, or Twitter or any of the other networks people recommend at first guess. Listen and see where there are conversations you want to get involved in, and start there first. The time and financial investment is much lower and the learning curve on how to use this tool may be easier. Even if you find these deep conversations about your niche on 3, 6 or even 10 different networks, don't feel you have to engage on all of them at once. Take your time. Figure out which network will work best for your personal skill set, the time available and the content you already have before you start. 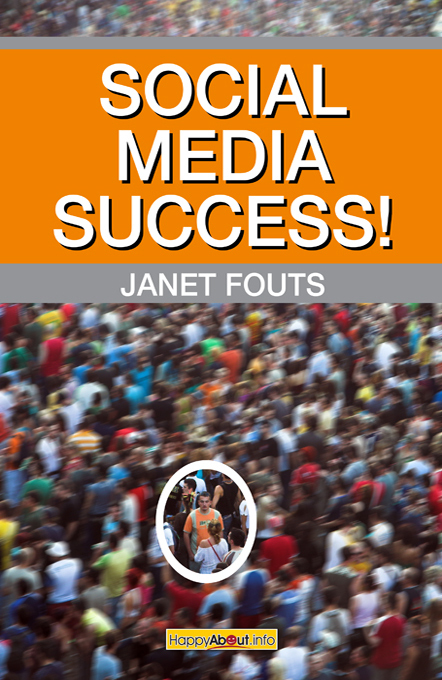 Janet Fouts knows that success isnt what it used to be. Theres a new success for a whole new game, and shes brought this to you, wrapped in a bow, in easy-to-consume ideas. Her book gives us new gears for a new system. Pick this up and learn. 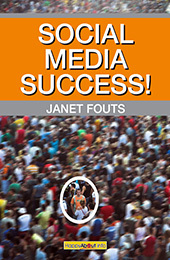 In a sea of shameless promoters and so-called social media experts, Janet Fouts is the real deal. She is that rare professional who not only `gets it,' but who shares her expertise in easy, accessible, human ways. Janet is knowledgeable and practical in her delivery of real-world solutions to issues businesses face in online marketing and customer relations with social media. Janet explains the nuts and bolts of Social Media in a way that makes it easy for people to understand, and then apply to their business.